As 2017 came to an end, so did the Bureau of Land Management’s (BLM) 2015 effort to regulate hydraulic fracturing on federal lands. Following an executive order from President Donald Trump issued early in 2016, BLM set out to review this and other rules impacting energy independence to determine their necessity based on the president's stated criteria. As a result, on December 29, 2017 BLM repealed the 2015 rule establishing regulations on hydraulic fracturing on federal and tribal lands. 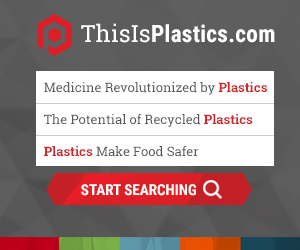 The Plastics Industry Association (PLASTICS) originally filed comments in 2012 opposed to the proposed rule, as it was determined to be duplicative, burdensome and unnecessary given that the states have a long-established regulatory approach to this drilling method. Due to the unique geologies from coast to coast, state regulators are often best equipped to oversee this activity and it was apparent to PLASTICS and other industry advocates that a one-size-fits-all approach at the federal level would not be the most effective. In 2012 PLASTICS informed BLM that the plastics industry relies heavily on natural gas as both a primary source of energy and as the basic feedstock for many of our products and that, if implemented, the result would be diminished supply predictability and increased costs for industrial users. Despite these objections and hundreds of other comments voicing concerns with the rule, the previous administration moved forward in 2015. Legal challenges prevented the rule from taking effect since then, and this latest move from BLM precludes the rule from taking effect altogether.